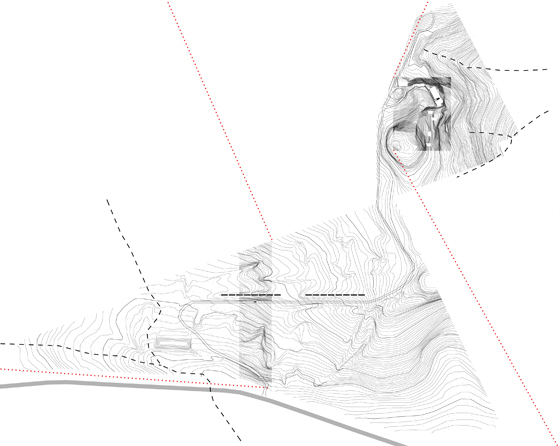 a proposal that attempts to reveal the qualities of the site that make it exceptional. qualities that operate at the small, human scale on the one hand and establish a measure for the broader landscape on the other. the micro scale brings into focus small experiences that are unique to the site; the grass trees, the escarpment, the spindly forest, the rocky outcrops. the macro scale operates on the environment and focuses on wider views, climatic considerations, water harvesting, protection and growth. 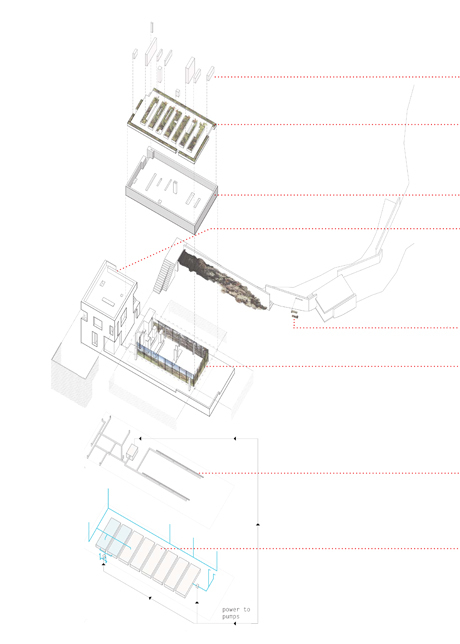 the constructed fragments become a gauge of the site, slipping into pockets and crags, framing views and creating new horizons. the pods are scattered in the forrest and provide for sleeping, bathing and relaxing. the opening and closing of the shutters and glazed doors allow the occupants (guests) to be immersed in the landscape or fully enclosed in the warm timber shelters. the house considers the view to the northeast and positions itself to ponder and maintain it. 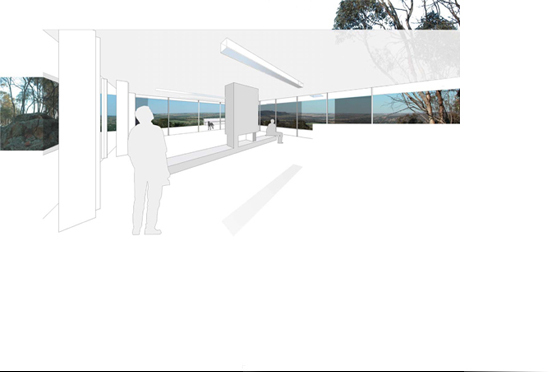 its footprint is reduced through the use of a tower and by placing a seamless glass pavilion under the suspended garden. internally, uninterrupted views are conserved by operable perforated screening, which blocks out the undesired. 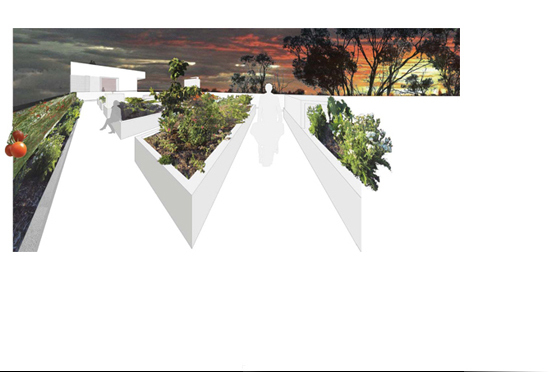 the elongated plan stretches across the hill on a plinth that conceals its services within. entry is from the upper level, with the natural landscape slipping through the gap between tower and garden, framing the view to York. as the presence of inhabitation unfolds one discovers further details of the order or nature, the nature of the cut(s).